My iPhone Turns Off In Cold Weather! Here's Why And What To Do. You are at:Home»iPhone»Battery»My iPhone Turns Off In Cold Weather! Here’s Why And What To Do. Your iPhone turns off in cold weather and you don’t know what to do. It even shuts off when there’s lots of battery life left! In this article, I’ll explain why your iPhone turns off when it’s cold as well as recommend some tips on how to keep your iPhone warm in cold weather. Why Does My iPhone Turn Off In Cold Weather? Apple designed the iPhone to turn off under extreme conditions, such as very cold or very hot weather. This actually helps protect your iPhone from malfunctioning as a result of low voltage from the battery. Apple recommends that you only use your iPhone (and other iOS devices) when the temperature is between 32-95 degrees Fahrenheit to avoid temperature-related issues. When it’s below freezing outside, keep your iPhone warm and secure in the pocket of your pants or coat, or in a handbag or backpack. If you don’t need to use your iPhone, we recommend that you keep it turned off until you can get to a warmer place. 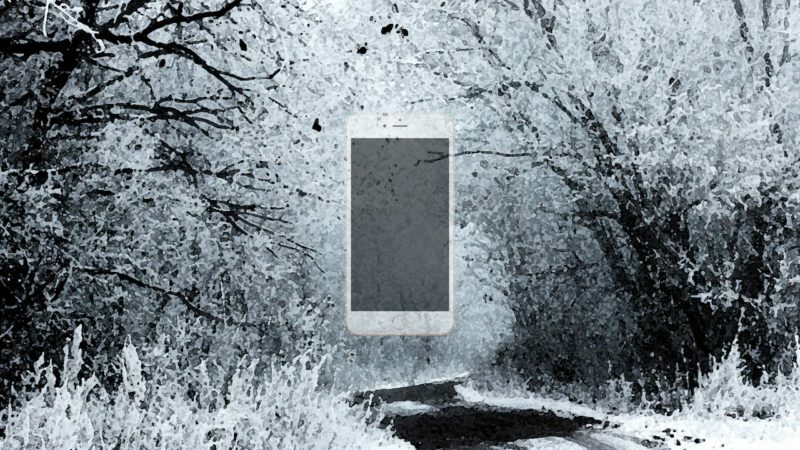 A software crash or file corruption can occur if you were using your iPhone when it suddenly powers off due to cold weather. Is It Possible That Something Is Wrong With My iPhone’s Battery? We can’t be sure whether or not there’s a more serious problem with your iPhone’s battery. Although it’s normal for an iPhone to turn off in cold weather, it could also be a sign that the battery of your iPhone needs to be replaced. Have you noticed other problems with the battery life of your iPhone, such as a battery that drains very fast? If you have, you may want to explore your repair options. But before you do, take a look at our article “Why Does My iPhone Battery Die So Fast?” for advice on how to improve your iPhone’s battery life. The vast majority of iPhone battery issues are software related and our article will help you avoid those problems. I Think Something Is Wrong With My iPhone’s Battery. What Should I Do? If you’ve read through our iPhone battery article, but you’re still experiencing significant battery problems with your iPhone, you may need to get it repaired. The first thing we recommend that you do is visit your local Apple Store (make sure to schedule an appointment first!) and have a diagnostic test performed on your iPhone. Part of this diagnostic test includes a pass-or-fail analysis of your battery. If your iPhone passes the battery test (most iPhones do), then Apple won’t replace the battery, even if your iPhone is still covered under a warranty. If you do need to get your battery replaced, but want a more affordable option than Apple, we recommend Puls. Puls will send a certified technician to you, fix your iPhone within the hour, and guarantee their work for life. Now you know why your iPhone turns off in cold weather and how to identify if there’s a more serious hardware issue with your iPhone. We hope you’ll share this article on social media with your friends and family so they’re prepared during the winter months. Thanks for reading and remember to always Payette Forward! Previous ArticleTwitter Not Working On Your iPhone Or iPad? Here’s The Real Fix! Next Article What Is Emergency SOS On An iPhone? Here’s The Truth!